Family and friends of James Rohman are raising money to pay for uninsured medical expenses associated with transplantation. James has chosen to fundraise with Help Hope Live in part because Help Hope Live assures fiscal accountability of funds raised and tax deductibility to the full extent allowed by law for donors. Donors can be sure that funds donated will be used only to pay or reimburse medically-related expenses. To make a tax-deductible donation to this fundraising campaign, click on the Donate Now button. After reassessment it has been determined that Jim will need a double lung transplant (instead of just one or the other that he was up for before). Help Jim Breathe Easier Again! 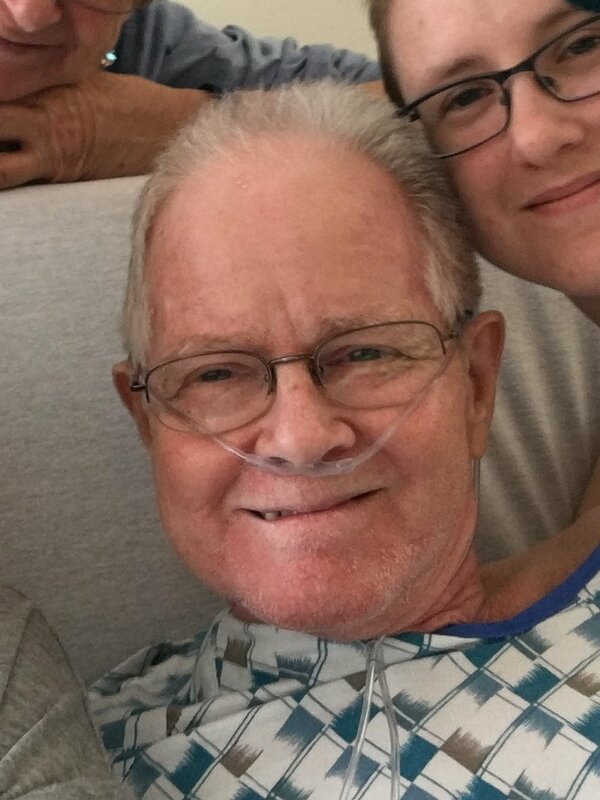 Jim is suffering from Stage 4 chronic obstructive pulmonary disorder (COPD) and emphysema. Diagnosed almost 7 years ago after struggling with breathing issues, he is now reliant on oxygen 24/7 and has been placed on a lung transplant list. Jim almost had a new pair of lungs within days of being listed, but the doctors decided the lungs weren’t functional enough, so the surgery was called off. On top of this surgery prep, the bills for the actual transplant and the subsequent medications and doctors’ visits will be overwhelming. Before Jim was diagnosed he liked to spend his free time enjoying the fresh air of life. He would take his sailboat out on the water and enjoy the freedom the environment offered him. Jim is an avid reader and liked to go to regularly to the local library for books to read on the front porch. Now he is mostly confined indoors and often finds it taxing to even make a small meal for himself. He also misses travel. His work used to take him around the country but now he stays home and misses out on family trips, opting instead to stay home. Jim’s hope for the future is to be free from his indoor confinement and to once again get back out into the world, even if it’s the simple comfort of his front porch. Hi, friends! We are just now starting this fundraiser for James’ lung transplant. He was placed on the list November 16th, 2017, thankfully only a week after his 3-day exams at Tampa General Hospital. A meeting with the surgical team will take place December 6th to formally introduce everyone and welcome him to the Tampa General Hospital transplant program. Please consider sharing this page; it would help us out greatly.